During school breaks (as per the Paulding County school calendar), Noah’s Ark Christian Academy will host various camps for school-age children if there is additional space available. 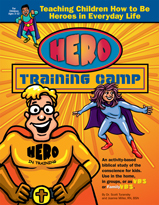 ‘Hero Training Camp’ uses the life of David and the biblical concept of the conscience to teach children to be internally motivated in four areas: Do what’s right, deal with wrongs, be honest, and care about others. This action-packed, activity-based program for children teaches kids that God has provided them with the standard equipment to be heroes in training now. Their job is to pay attention to the conscience and the Holy Spirit in their lives. 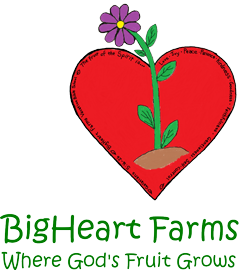 ‘Big Heart Farms’ centers on Galatians 5:16-26, which covers the Fruit of the Spirit. A farm theme seemed best to coordinate with the idea of spiritual growth! 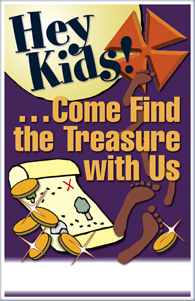 Join us for the fun, but most importantly, join us in teaching your child about God. ‘Bible Boot Camp’ The foundational Scripture is the armor of God passage found in Ephesians 6:11-18. We will be training the children to be warriors for God. They will be referred to as privates in God’s army. The Program Director is referred to as the master sergeant, Teachers are drill sergeants, and volunteers in the kitchen (or mess hall) are cooks.